EXPERIENCE AN ISLAND LIKE NO OTHER. Siargao (Shar-Gow) is one of those places that puts an immediate spell on all who may visit its shores. The island has a magnetism that starts working its magic on you even before your feet touch it’s soil. Pristine white beaches fringe an ocean thats colour has to be seen to be believed; an electric blue that cannot be described, or truly captured on camera. 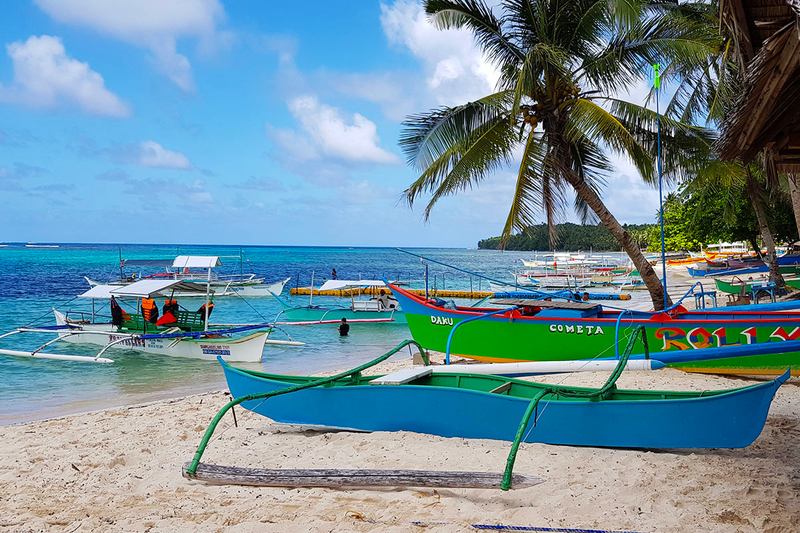 With a multitude of natural attractions, from beaches to waterfalls and of course the world class waves, Siargao is finding it’s popularity exploding with tourists arriving from all over the world all year round. 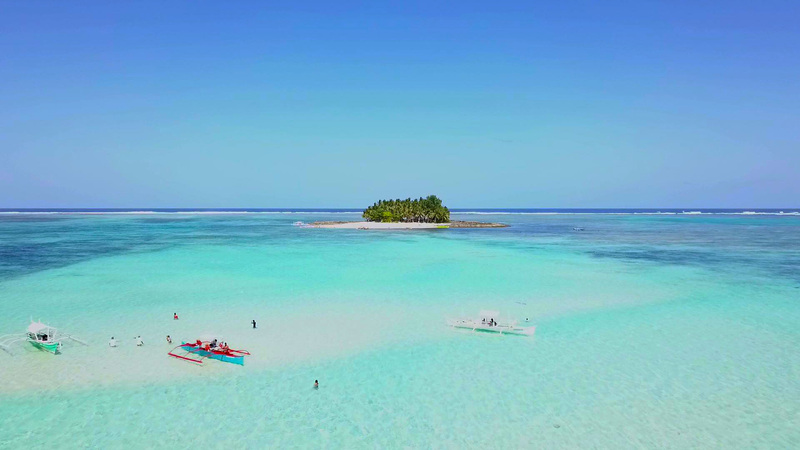 Located on the eastern side of the Visaya’s in the Philippine Sea, If you have ever wanted to go somewhere and feel like you have truly left the world behind, then Siargao is the place for you. Some must see places while on Siargao are Sohoton Caves, Magpupungko rock pools, Tak Tak falls and Mam-On and Dako islands. Whether you want to surf the famous Cloud 9 or merely enjoy a tropical island meditation retreat Tao de Libertad is just what you have been looking for. Cloud 9 is one of the worlds top class waves and certainly one of the best known waves in the Philippines. Surfers travel from all over the world to sample it’s perfection. The wave has a reputation for its thick, right hand barrels, but can also produce a really hollow left. 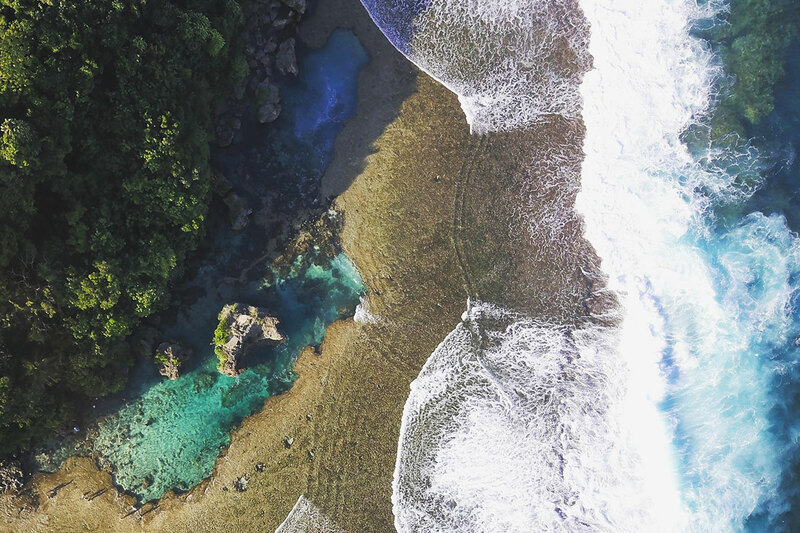 The wave was discovered by surfers in the Late 80’s and is named after the popular Filipino chocolate bar. The wave barrels if its 2 ft or 8 ft and does not pose too much of a threat to the inexperienced when it is small. When it gets above 6ft the crowds thin out drastically; leaving the lineup to the more confident and experienced surfers. There are many, many more waves on Siargao all you have to do is know where to find them; and at Tao de Libertad we know where they are, and we also have some in our sights that may not have been surfed yet. WHAT TO DO ON SIARGAO? One of the most popular places to visit in Siargao, is the natural infinity rock pool. Swim the blue, green waters. Snorkel and explore the underwater world and incredible marine life. Or, better yet, if you’re game enough, you can cliff dive off the rock formation! Magpupungko is a natural wonder that is not to be missed. Enjoy one of the best beaches of Siargao Island, Daku Island. With it’s fine white sand beach and turquoise waters, a great place to swim and to enjoy a cultural island life experience like no other. 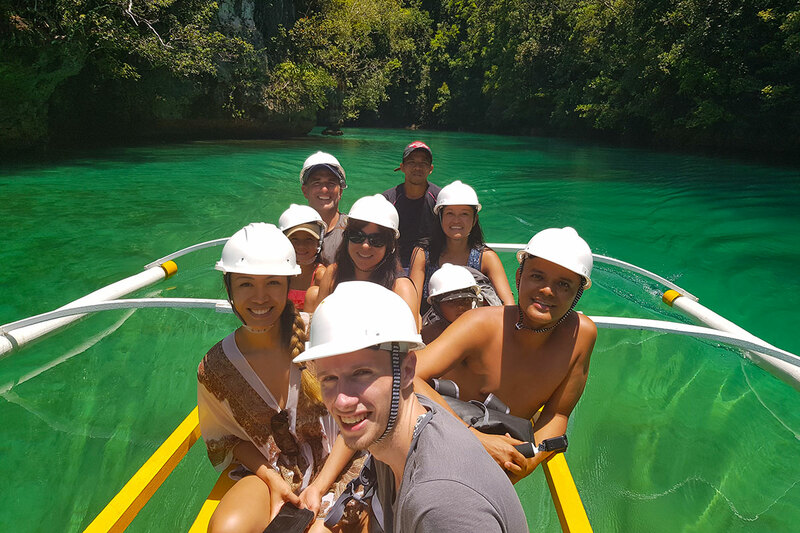 A great way to explore the surrounding islands, is to hire a palm boat from General Luna and take an island hopping tour. Visit Guyam Island, Daku Island and Naked Island in one day. Savour the exotic views, as you skim across the crystal clear waters. Take in the sights of the local fishermen, as they fish for their meals. Enjoy a day of swimming, snorkelling and lazing around in the sun. During the retreat, we will be taking a day tour to Sohoton Caves. Just 2.5 hours from General Luna via boat, admire the splendour of the natural landscape and views along the way. Watch as the flying fish soar over the wake of the boat. Be amazed by the the magical lagoons, enchanted caves and the maze like islets. Sohoton caves will be an experience that will stay with you forever.